Norwegian thriller ‘Thelma’ lacks climactic conclusion – Cinema or Cine-meh? I’m sure it’s an accepted fact that Americans have some of the shortest attention spans on Earth. It goes goldfish, mice, and then Americans. That explains why Hollywood movies never waste a lot of time on lengthy scenes, always get straight to the point, and always show and tell whatever point they’re trying to get across. European movies don’t always do that. Maybe that’s why they’re harder for American audiences to digest. We don’t like waiting. That and the subtitles. We don’t like reading, either. Anyway, I’d like to think that, as a more experienced moviegoer, I’m better than the average American when it comes to my tolerance to foreign films. But the Norwegian mystery “Thelma” starts slow and never speeds up. Sure, it makes some beautiful visual choices, and its small cast does exactly what it needs to do, but in the end it’s enough to make most American audiences turn off their television…if they can stay awake long enough. After being raised in a conservative Christian home, Thelma (Eili Harboe) revels in the freedom that college brings. But she lives alone, and struggles to make friends in the limited time between classes and studying. When a cute classmate, Anja (Kaya Wilkins), tempts Thelma with a lesbian relationship, Thelma tries to pray the sinful thoughts away. But the lust she feels begins to unlock a dangerous and uncontrollable force inside of her, one that neither she, nor her doctors, can explain. No, it’s not love—this is something much more powerful than that. Harboe tackles a complicated and mysterious role very well, and the chemistry between Harboe and Wilkins is natural. Thelma’s parents, too, played by Henrik Rafaelsen and Ellen Dorrit Petersen, are great fits. But this story, enigmatic as it is, never gives them to opportunity to answer the burning questions we have. 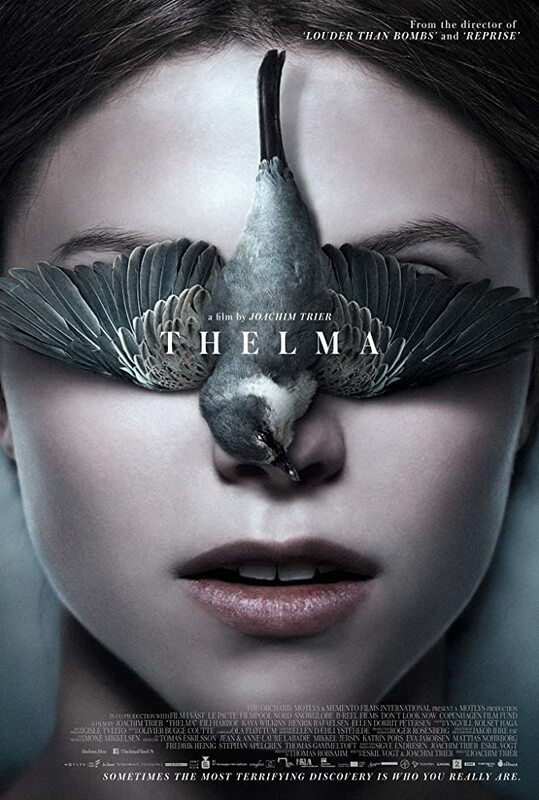 I won’t go so far as to say “Thelma” is full of plot holes, because certainly writers Eskil Vogt and Joachim Trier (Trier is also the film’s director, and yes, a distant relative of Lars von Trier) knew what they were doing when they wrote it. But in America, many people would definitely call those artistic choices plot holes, because “Thelma” poses many questions without answering all of them. It unwraps its many layers very slowly, and doesn’t reveal much for the first hour or more. American audiences, most of them at least, would probably be turned off by the hour-long foreplay. If you’re not one of those Americans, “Thelma” might be your pleasure.